Over the Father’s Day weekend, UNKNOWN SOLDIER brought 85,975 viewers into the theaters. By Sunday night, the film had reached a total of 521,076 moviegoers. 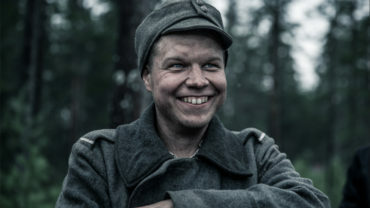 UNKNOWN SOLDIER is by far the most watched film in Finnish theaters this year. The film has now spent 17 days in the theaters. During the preview screenings, the film was seen by 48,438 viewers. The record numbers achieved by the film in Finland have also been widely noticed by the international media, for example in Sweden and Estonia, as well as in the United States, during the film industry event American Film Market that concluded last week. UNKNOWN SOLDIER is also going to be released in theaters in Sweden, Denmark, and Norway. The Swedish premiere of the film is on December 6, 2017.